The ready-to-wear Autumn-Winter 2017-18 campaign features a group of young women with strong, affirmed styles. 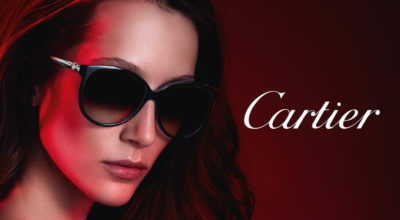 Each possesses a unique personality and together they compose an image of a bold and daring Dior woman in Dior Stellaire1 Eyewear. 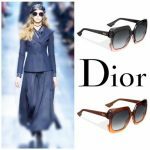 2016 was undoubtedly the year of Dior So Real, the sunglasses that everyone – from fashion editors to street style stars and the biggest celebs – has been spotted wearing. 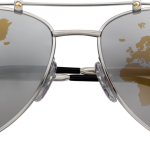 As with any major trend, it all started with Rihanna, who first sported a pair of the mirrored shades at Dior’s Fall 2014 presentation in Paris. 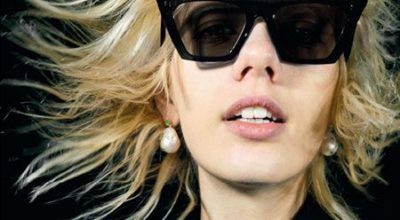 Three years on, the allure of Dior So Real shows no signs of abating. In fact, it’s only gotten bolder and better with a colourful, new incarnation for Fall 2017. “Our Dior girl this time […] feels provocative,” says backstage hairstylist Guido Palau, explaining the look he crafted with a modern spin on the 19th-century rag curl. After washing each models’s hair backstage in basins with Redken Diamond Oil shampoo to get a clean texture, Palau twisted strands around bits of paper towel then baked them with a hot iron. Once cooled, the tissue was removed to reveal loose, airy waves that stayed put. “It’s a very old-fashioned way of setting your hair. And what it does is it gives a much softer feeling than a curling iron and you get some volume as well,” Palau said of the “floating” effect. Modern women may not have time for such involved morning rituals. But those chic leather hats, worn almost imperceptibly askew, promise to look just as good when pulled over rumpled, slept-in waves for the weekend. Paired with a touch of Dior’s new Pump ‘n’ Volume mascara, blurred gently along the center of the lower lashes by makeup artist Peter Philips, the look toed the line between rebellion and romance—classically French hair made for present day It Girls. 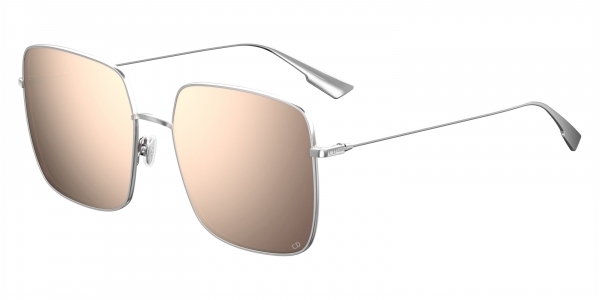 Stylish Start to Your 2019 – Cazal 9077!